Want to get better at Brazilian Jiu-Jitsu? - Gator Family Brazilian Jiu-Jitsu, DeLand Fl. Want to get better at Brazilian Jiu-Jitsu? We have all heard the phrase "to get better at Jiu-Jitsu, you have to train more". "Get on the mats" they say. These statements hold a lot of weight. The fact is there are variables involved. Master Robson Moura RMNU explained it the best "If your opponent drills a technique 100 times, you have to drill it 101 times." Learning a new technique in class and drilling it 10 to 15 times is not going to be enough to accomplish muscle memory. Jiu-Jitsu is human speed chess. Timing is everything. If you have to stop and think, you are already behind. Muscle memory and conditioned reaction are the keys to improving your game. The window of opportunity to make a critical decision is a fraction of a second. That super fancy technique you saw on you tube last nite is not going to help. So how do you develop a conditioned response? Drill baby drill! Pick no more than 3 techniques you want to work on. Get several of your training partners of different ranks, and drill for an hour. Switch partners at 10 minute intervals. Rolling and going hard will increase your cardio and endurance. Drilling will create the conditioned response needed when you roll. When you are done sparring, take notes of the problems you had. Add them to your next private lesson and then drill them. Private lessons are crucial to your learning experience. Ask your instructor for a private lesson. Have your questions written down. write the answers you are given. Schedule your drilling sessions and drill. No rolling. No new techniques. 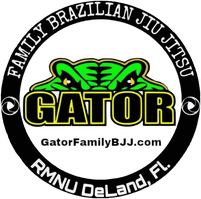 Gator Family Brazilian Jiu-Jitsu has incorporated a demonstration for belt promotions. The goal is to have each student take their 20 best techniques and organize them in a flow roll. The amazing result is the student along with another student practices the demonstration until it is second nature. The demonstration involves two people benefitting both involved. Take notes in class. Start a journal. Take videos if your instructor allows it. The details are everything. Don't think you will remember. Gator Family uses www.jiujitsutracker.com not only do you keep track of your training, your instructor see's it too. An added bonus is over 400 video techniques for you to drill. When your instructor invites you to go on a field trip to another academy, GO. Training with different schools will give you a whole new outlook. Variations of techniques differ from school to school. The best thing about visiting other schools is making friends.